I have listed the gauge as a guide but your gauge may vary slightly depending on your yarn choice. 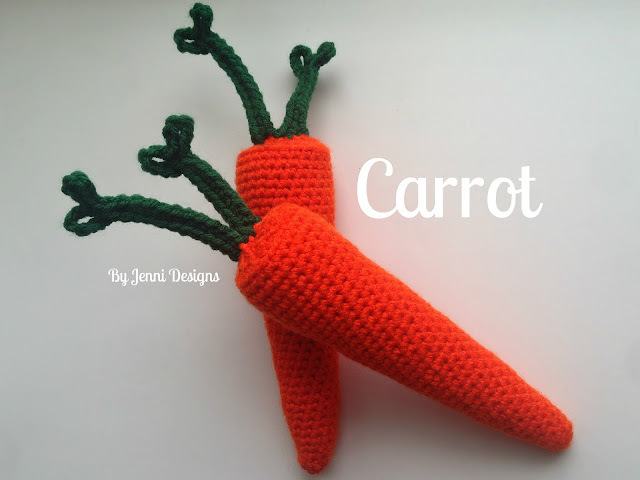 Any worsted weight yarn will be suitable for use with this pattern, for my carrots shown I used Caron United Yarn. Be sure to work your stitches tightly and stuff your carrots firmly but not so much that you create holes in the crochet work. If you have any questions at all feel free to ask! 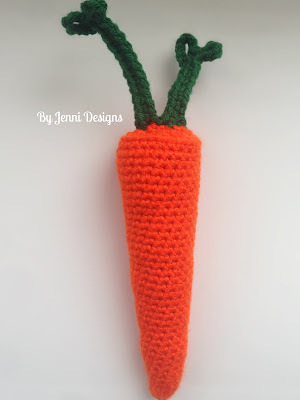 You should start stuffing your carrot as you go now. Fasten off but do not sew in this end just yet. Join green yarn with a sl st to the top of the carrot, just to the right of the center. 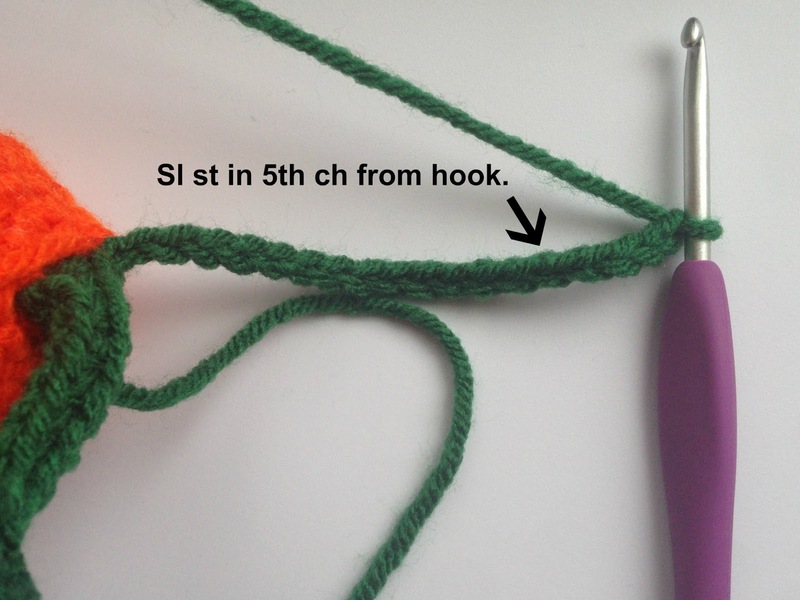 Ch 14, sl st in 5th ch from hook. [Sc, ch 6, sl st] all in the next ch sp. 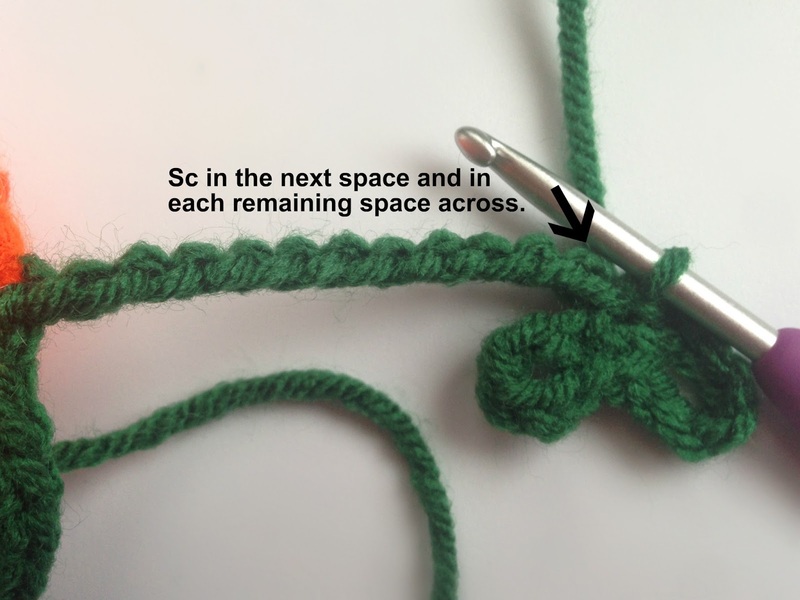 Sc in next ch and in each remaining ch across. 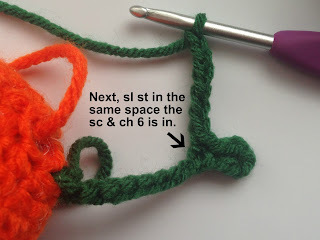 Sl st into the top center of the carrot. Ch 18, sl st in 5th ch from hook. [Sc, ch 6, sl st] all in the next ch sp. Sc in next ch and in each remaining ch across. 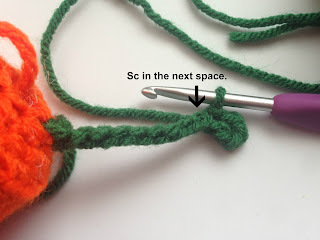 Fasten off and use the end to sew this part of the stem down. 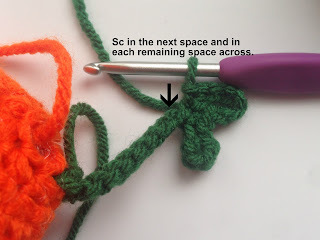 Sew your green ends into the stems you just created, this will help make the stems less flimsy. 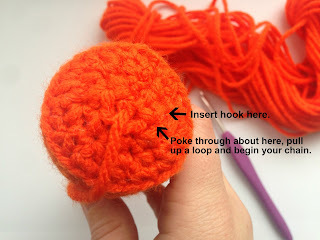 Now, you can sew in the orange end. 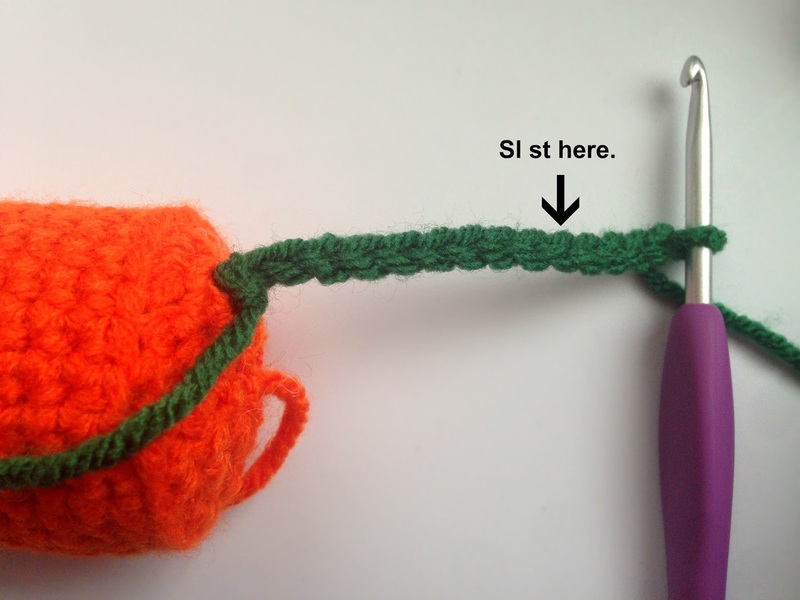 Make sure to sew any holes shut. Sl st in 5th ch from hook. Sc in the next sp. Sl st in the same space. Sc in next ch and in each remaining ch across. 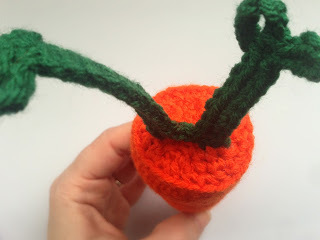 Sl st into the top center of the carrot. 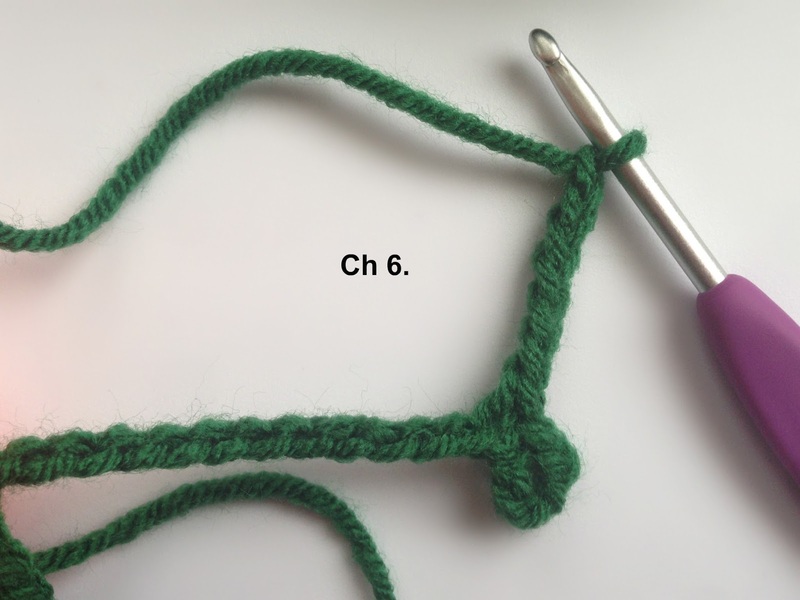 Pull up a loop and Ch 18. 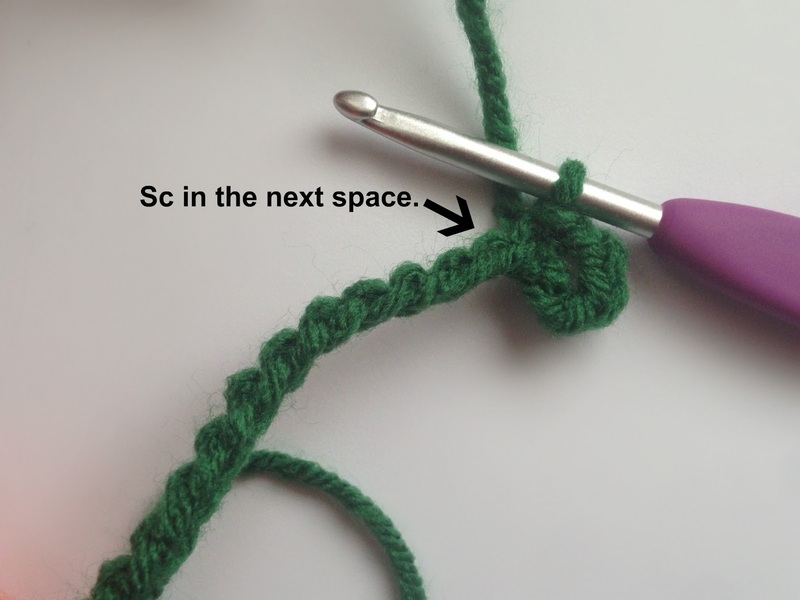 Sc in the next space. 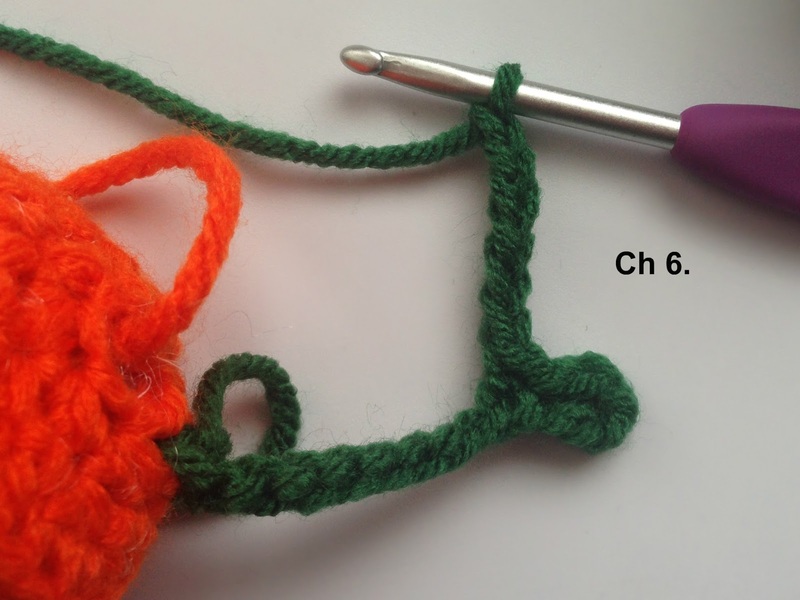 Fasten off and use the end to sew this part of the stem down. Sew your green ends into the stems you just created, this will help make the stems less flimsy. 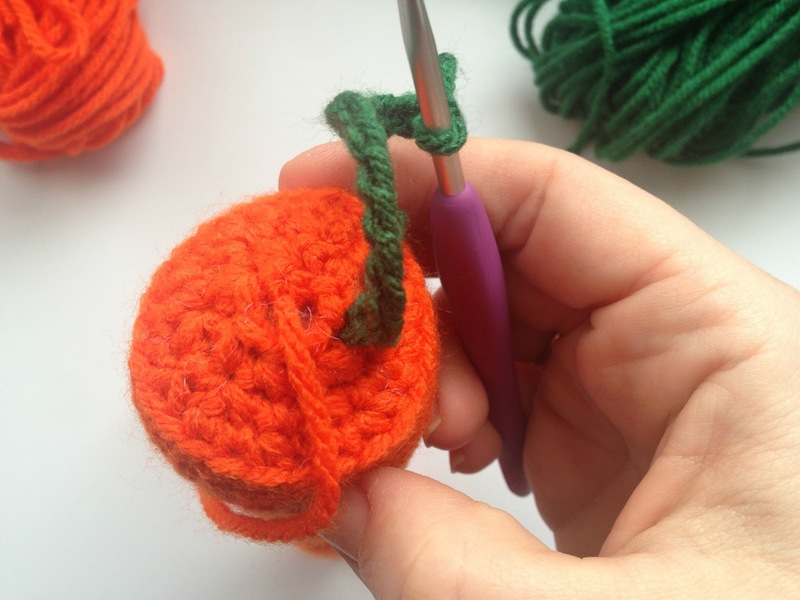 Finally, you can sew in the orange end. Make sure to sew any holes shut. 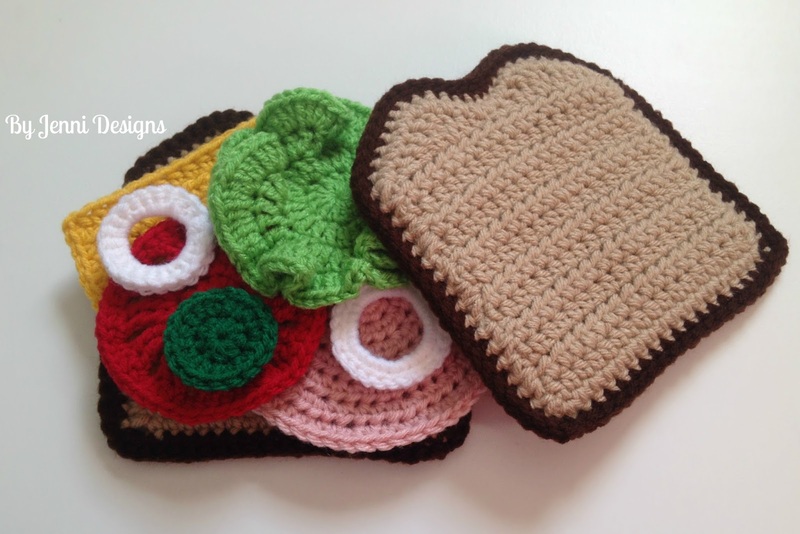 If you enjoyed this pattern you may also like my other play food patterns!